Another hat I've been working on. Using a combination of cotton and wool. Also we got a couple of kittens and they are so darn cute. Pictures of uber cuteness coming soon! I like it! It´s fantastic! Add your blog in my list, ok? This has is so cute! Would you mind sharing where you got the pattern? Love this hat can I find the pattern somewhere? Love your conbination of yarns! cant i get to this hat to print? 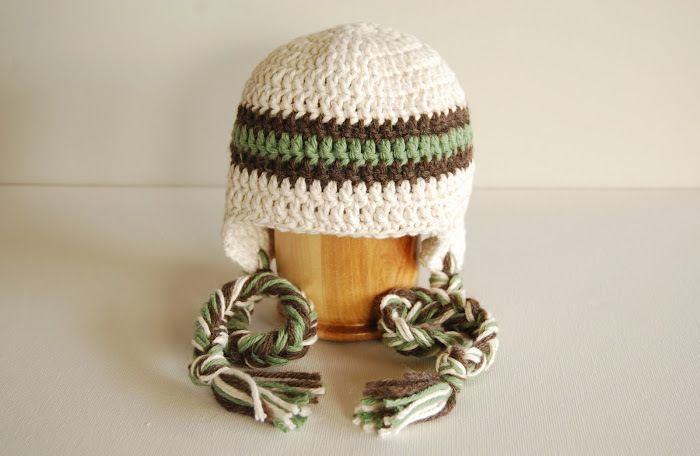 it is the crochet striped earflap hat. thanks.